It's never too early to start planning for retirement. And this means thinking somewhat differently about retirement planning for your later years. Have you ever stopped and asked yourself these questions? 1. 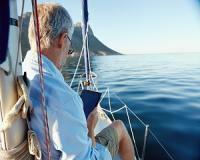 How much will I need to save for retirement in order to live comfortably? 2. What are my retirement goals? 3. When should I start? 4. What should I do? 5. What costs might I run into once I've actually retired? So what should you consider when it comes to finding the best retirement plan for you? It's a fact, millions of South Africans are woefully unprepared for retirement. The single biggest reason is they haven’t saved enough. Over the last few decades there’s been a sharp decline in domestic savings from over 20% of GDP between 1960 and the 1980’s, dipping to as low as 14% in 2016. According to South African Government statistics, South Africans are now borrowing more money than they are saving. Household debt as a percentage of household income now stands just below 80%. Old Mutual Savings and Investment Monitor revealed only a quarter of those between the ages of 18 and 30 are saving for retirement. What’s more concerning, the percentage of people saying they would withdraw their retirement benefits has increased from 19% in 2012 to 35% in 2016. At the rate at which people are saving today, means 90% will be living on the breadline at retirement unless they have a specific retirement plan, says Francois Joubert, small cap analyst in his latest Retirement Report. That's why before I give you my retirement plan I want to share my simple retirement calculator. This calculator will tell you what income you need to generate to retire or simply live the lifestyle you want. I call this your “Lifestyle Burn Rate” (LBR). This is the amount of money needed each year to enjoy your lifestyle. Simply calculate how much money you spend each month. Make sure you complete the Lifestyle Burn Rate tab in the calculator first. Now I want you to calculate your Magic Number. It's the number you need to retire one day or simply to live the lifestyle you want in say, the next 10 years? But you need to know how much money you’ve already saved towards your retirement in a pension fund or RA and you need to put down a figure for a lump sum you expect to receive at “retirement”. Many people sell their house at retirement. They then buy a smaller one or rent one, with the capital made from the sale being invested with the rest of the retirement funds. If you’re a bit late in saving for retirement or simply don’t intend to downscale then once again leave it blank. More retirees than ever before are building dependable income streams they can’t outlive. Dependable income is not mythical, elusive, or unattainable — and it doesn’t have to be overly complicated. You’ll learn, in five simple quick-fire steps how to build your fool proof retirement plan. Whether you’re already retired, years away from retirement, or expecting to retire in the near future, this blueprint is a must-have to secure your financial freedom. With the threat of a recession on our doorstep, the next five to ten years are going to be challenging. That’s why our Small Cap Analyst, Francois Joubert wants to help you live comfortably in your retirement. To give your retirement the best chance of success, simply go here.